Several kinds of rules officials oversee badminton matches and tournaments. The umpire typically oversees individual matches, and has authority over all other rules officials on his court. The Badminton World Federation's Laws of Badminton describe the roles of all rules officials. 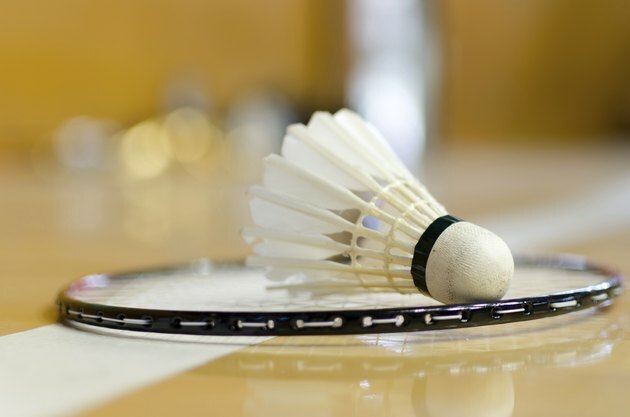 These rules provide a standard for competitive badminton. The umpire has authority over the particular match he oversees, and over the court and spectator viewing areas surrounding the court. The umpire can use her discretion when deciding whether to overrule any call made by a line judge or service judge. The line judges call the shuttlecock "in" or "out" and the service judge calls any service faults committed by the players. According to the Badminton World Federation's Laws of Badminton, the referee has authority over an entire tournament or event. An umpire with authority over a particular match must report to the tournament referee. The umpire must follow any instructions given by the referee. The umpire can appoint the particular line judges and service judges who will officiate on the umpire's court. The umpire can also use his discretion when deciding whether to replace line judges or service judges. The umpire must consult with the referee before making such decisions. The umpire must enforce all badminton rules on the court. The umpire makes rules calls regarding service faults, other player faults or lets. The umpire announces the match's score to the players and audience throughout the match. He must announce the score after each point. The umpire also records any incidents of misconduct and reports them to the referee. If a player protests a decision made by a line judge or service judge, the umpire must give her ruling regarding the protested call. The umpire can uphold the original call or overturn it. If the umpire finds himself unsure of the rule in a particular case, he can consult the tournament referee. He must do so before the match continues to the next serve.